Sartoria Pasinato, in the pretty town of Vicenza in north-eastern Italy, is an interesting example of a progressive tailor that still retains bespoke traditions. 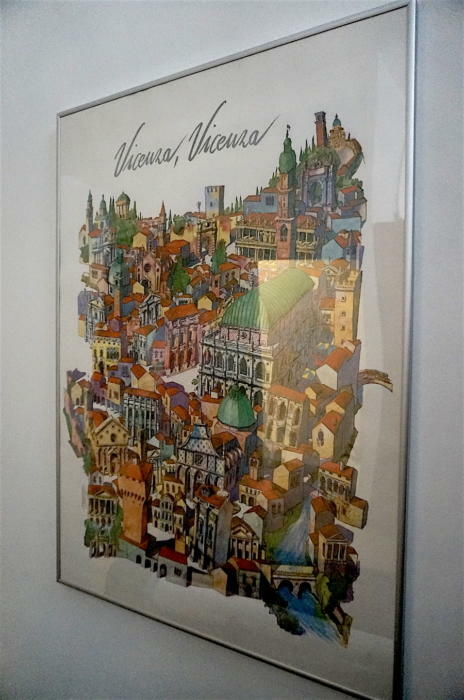 Vicenza is industrial and wealthy, famous for its Palladian architecture and for the Olympic Theatre (the oldest covered theatre in the world). But it is also small, with around 200,000 people, and Pasinato is the only game in town. 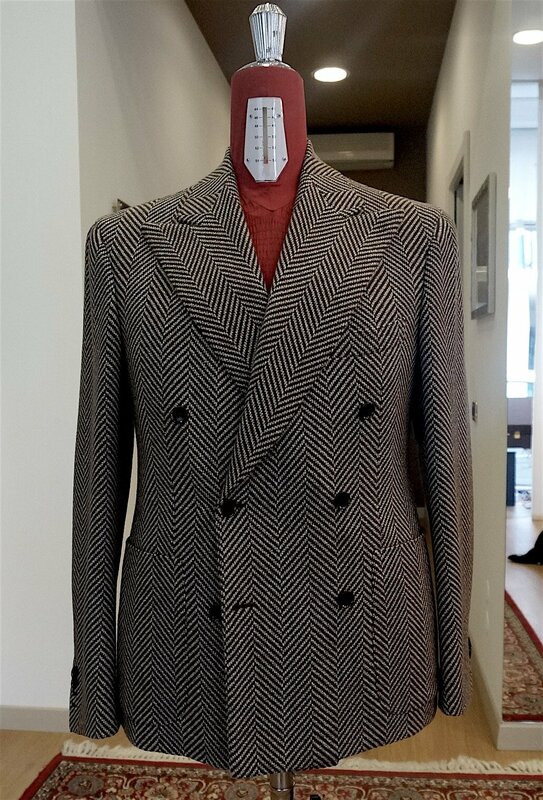 Massimo Pasinato founded the atelier after the well-known Gino Calebresi, previously the biggest tailor, shut down and handed over the business. 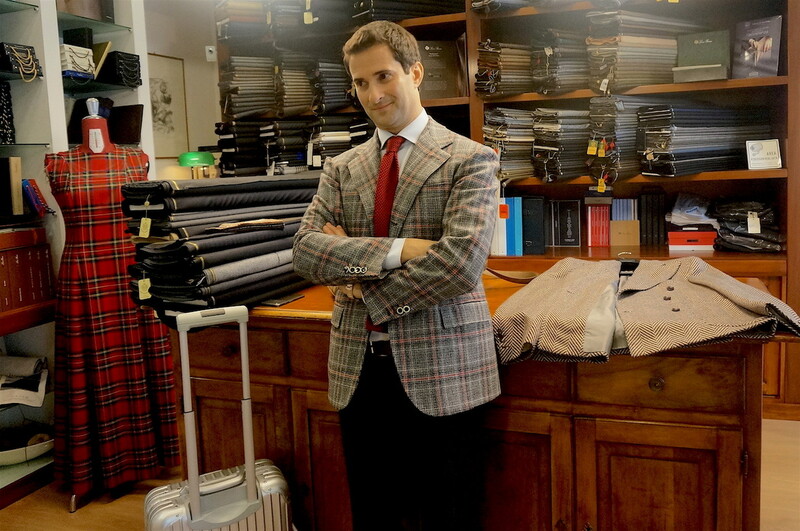 Massimo had worked there as an apprentice since 1989, where his mother was also a tailor. After a few years, Massimo started adding parts to the business. The first was a made-to-measure (MTM) programme with a difference - what he would call ‘evolved’ MTM. This involves test suits in the shop, a computer programme into which changes can be entered, and manufacture at a factory in northern Italy. 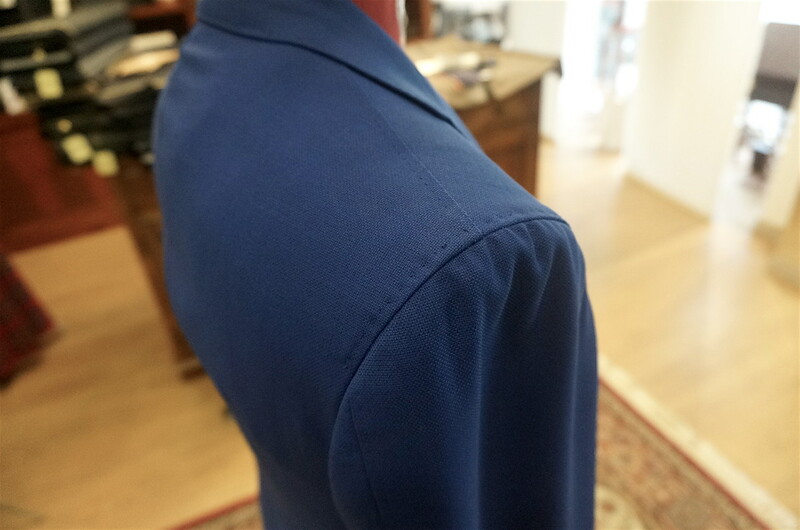 When the suits arrive, Massimo does a fitting, makes adjustments, and then does the finishing and adds the sleeves himself. The system operates under a different brand, ‘Max’, and is sold both to private customers and through a handful of shops in Italy, Switzerland and Germany. It’s a very high level of MTM, particularly given the hand-attachment of the sleeves. But perhaps most interesting is the way Massimo has adapted the computer system, and applied some of it to the bespoke side. “When I first started working with the factory, you put in all your measurements and changes on a form, and sent it back,” Massimo says. Once he had done that, and improved the results the MTM could deliver, he started also putting all his bespoke patterns on the system as well. When Massimo has to cut a new suit for a customer, he uses the system to find the most efficient way to arrange the pattern on the cloth, prints out a paper version, and cuts from that by hand as normal. It’s exactly the same as normal bespoke, except for accurate and digital record-keeping. “It always surprised me how many old Italian tailors didn’t update the patterns, particularly if they got larger rather than smaller,” says Massimo. He shows me one pattern on the computer, and you can see how it has changed over time. The customer (now 80) has become more stooped as he has aged, and the back of the jacket has therefore got longer, the front shorter. 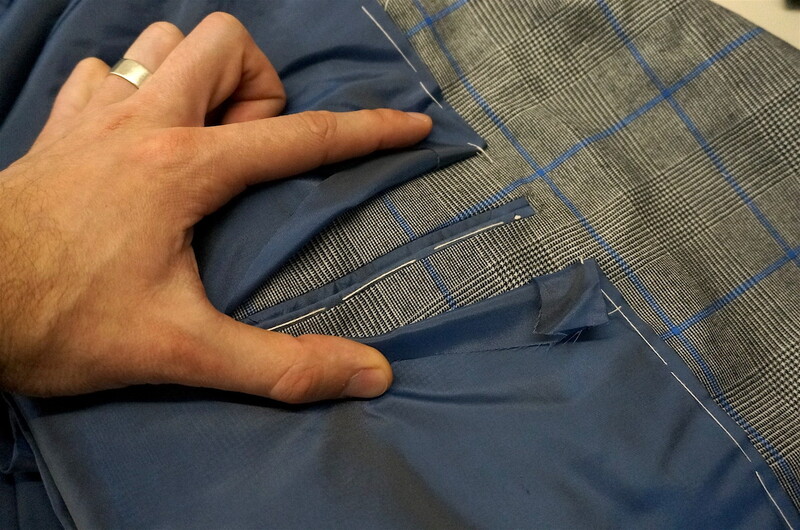 The bespoke is all cut by Massimo, the jackets made by his mother (above) and trousers made by external workers. A couple of other tailors come in to help out in the afternoons. 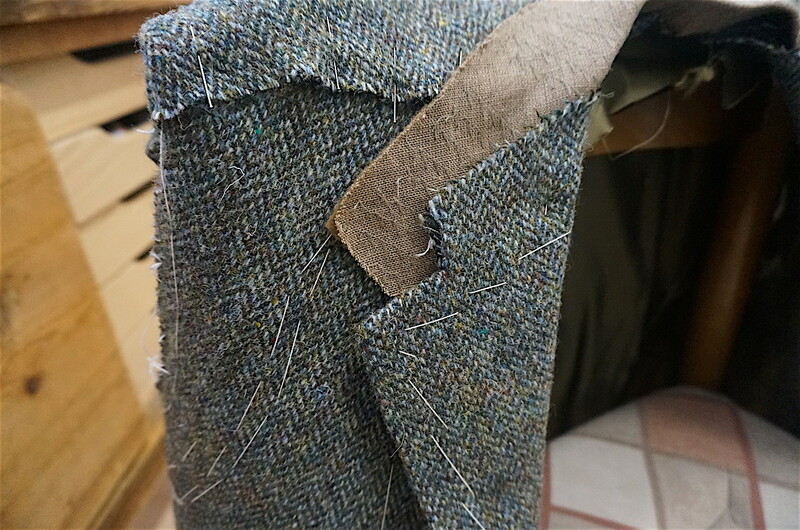 The level of the work is high, with all hand padding etc, neatly pick-stitched edges and fine buttonholes. The cloth around the internal breast pockets is also a continuation of the facing, rather than being cut (image above), which is a nice touch. In terms of style, Massimo is in keeping with the traditions of the Veneto area - as passed to him by Calabrese. Lightweight construction, a soft shoulder (unlike the Milanese), and an emphasis on long, clean lines. He likes an extended shoulder, and dislikes the excessive softness and ‘mappina’ wrinkles of Naples jackets. But he does offer a very lightly structured travel jacket (bright-blue version below). 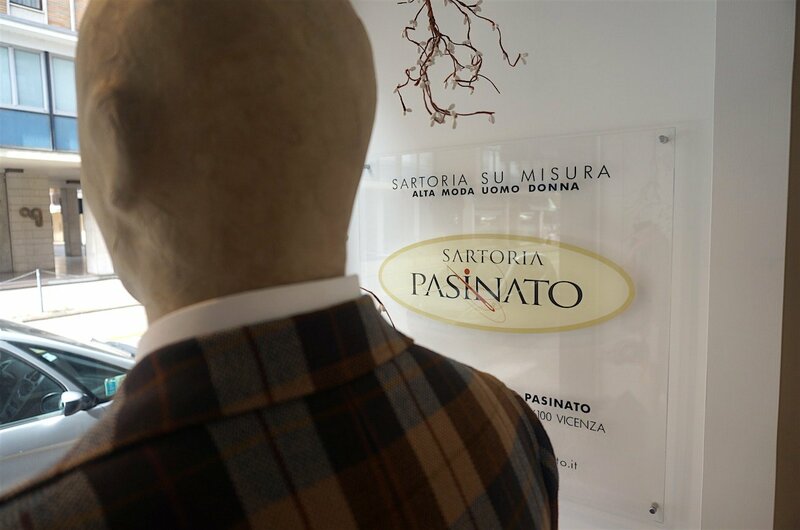 Indeed, Sartoria Pasinato today is probably on the border between having a distinctive style and trying to cater to everyone. This is not an easy balance to find for a lot of small tailors, but Massimo (crucially) is very self-aware and knows he has to balance both. Massimo already travels a little around Europe, and is looking to go further afield. He is helped in that regard by his wife, who is not only as friendly as charming as Massimo, but speaks English fluently. Spurred by this, I commissioned a suit in a VBC tan covert cloth, which I will cover the fitting of in a couple of weeks. Prices: Bespoke suits from from €2200 (€1800 without cloth), made to measure from €900. Video below showing a little of Massimo at work. Thanks to Francesco and Simone from VBC for the introduction to Massimo. You can follow the discussion on Sartoria Pasinato: Progressive tailoring in Vicenza, Italy by entering your email address in the box below. You will then receive an email every time a new comment is added. These will also contain a link to a page where you can stop the alerts, and remove all of your related data from the site. Following on from comments in an earlier post I am interested to know why you give such a wide coverage to regional Italian tailors. Are there no tailors in other countries in Europe, be they based in the capital or regional, and the wider world that might merit posts? Well, a lot have been covered over the years, from New York, Tokyo, Tornto, Madrid, Lisbon, Stockholm etc. But Italy does have the richest regional culture of tailoring, and is the place you find most traditional variation around the country. You will see that as 4 of your last 10 blog posts are from Italian houses how I may see things differently. What is the herringbone of that d/b? It looks like coating used as jacketing, very vivid. Interesting, but it raises a couple of points. Firstly, computerised block pattern alteration has been used in the MTM business for 20+ years, as a precursor to laser cutting of cloth. I suppose it’s novel to see it being used to adapt bespoke patterns. But given your well known aversion to MTM it’s surprising you make something of it here. Secondly, I simply don’t understand why you would used a covert cloth for a suit. It’s just not a suiting. Trousers, yes. Coats, of course. But suits? Is it an experiment, or has your radar gone a bit off? Thanks Toby, yes I trouser on the first point, my only point made here is as regards bespoke. And no, I like it in a suiting, as do many others. I’ve also done it before, with Vergallo, to good effect. Well, I suppose you can have a bespoke suit made of anything you choose; old potato sack, carpet (a la Vivienne Westwood) or chain mail. My point, simply, is that covert cloth was conceived as a coating, and that remains its purpose today. None of the tailors I know on the Row have ever used it to make a suit, and thus I find it odd that you would choose to. Well I guess I’m willing to learn, but to me a suit in an 18/19 oz cloth designed to be a coating sounds odd. Where could you wear such a thing? Before central heating was invented!! My Musella Dembech odd jacket is from a 21oz tweed and is both my favourite and both maybe my most useful piece of clothing. For temperatures of up to 10-12 degrees Celsius it is perfect. And even now in April in Munich you have such temperatures early in the morning and late in the evening. And on top of that the heavier fabric makes the garments more casual so that they fit better in the modern world. I would like to add something on the topic with the fabric weight and the comment with the central heating. Today in a meeting at work I noticed that from 9 men, 7 of them had T-Shirts under their dress shirts. Hypocritical, isn’t it? People complain, that the classic suit fabrics of weights around 14oz are too warm for the modern office and at the same time the huge majority of people (at least in Germany) wear t-shirts under the dress shirts. Just skip the t-shirt and maybe then you would be able to wear heavier suits. time it was not carried on by tailors. styled and why they fit all the same among various brands. So I decided to put myself out there. then I created my “files”. That was the turning point for my new partnership. I radically changed what for years had been the best. was to realize wider sleeves in a shorter armhole. I did not want to come to compromises, so I just went ahead. I now entirely handle the design and the manufacturing of the body of the jacket and the sleeves as well. The sleeves are eventually handmade baste to the body of the jacket. I am a tailor a my greatest love and delight is make Bespoke suits. The Bespoke designs are still hand-drawn for each individual client by me. 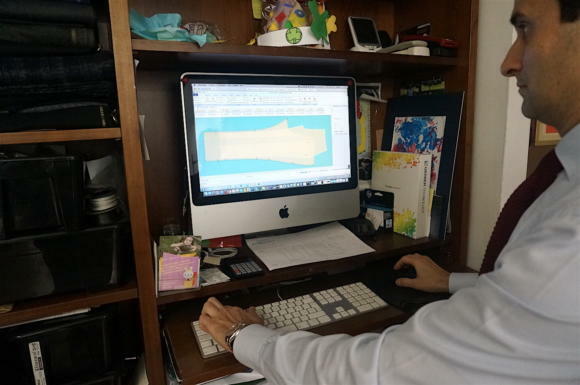 in tailoring I use the CAD program to digitize the models to create a digital archive that can be edited and reprinted in case of need. I should be in London next month. At the moment I have not planned any trip to NYC. Please write me at info@pasinato.it, so I can keep You updated. Personally I love reports like this. 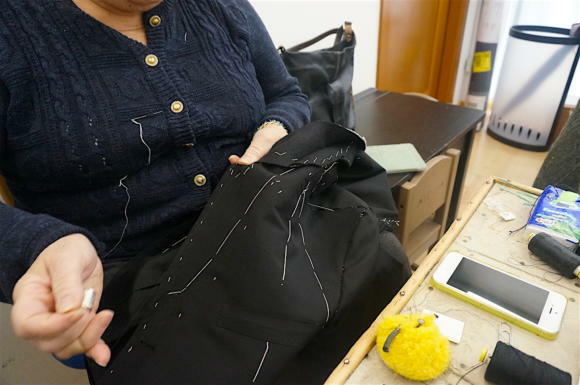 They are an education on Italian tailoring and an inspiration to try such tailors. Personally I am not a fan of extended shoulders but will be very interested to see how they look on your jacket. Please keep up the good work. The application of technology without losing the personal touch. Lovely idea. I like the shoulder/sleeve style a lot. A halfway house between military structured and Neopolitan. I’ll be interested to find out how the making and detailed finishing goes. Do you know where in southern Germany they are sold? 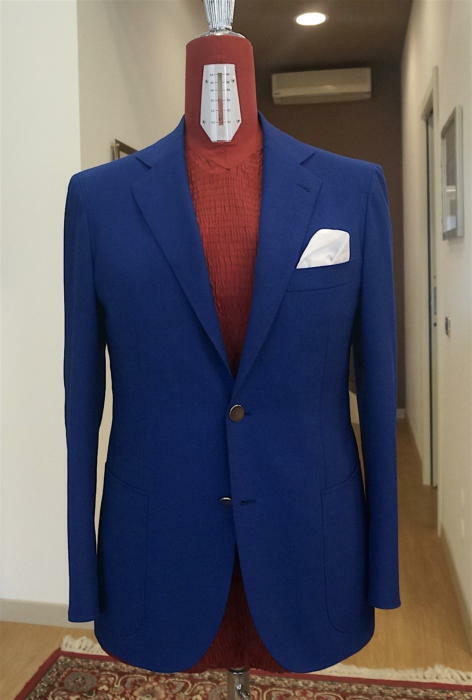 Max MTM and Bespoke is managed by appointment directly from Sartoria Pasinato. Write me an email to arrange an appointment. Simon, thanks for the great review! What would be your recommendation when it comes to tailors in Milan? Do you know which stores in Switzerland offer the service? How long is the usual commissioning time for a MTM suit? the maximum waiting time for the MTM is 4 weeks. good morning sir. Tuomas, on the 20th of May I will be in Zurich. If you are interested, book your appointment by filling in the following form. Since I was born I have always lived the world of tailoring , because my mother is a tailor. When I started working at the age of 14, my Master always brought me to all the tailoring events, which at the time were very numerous. 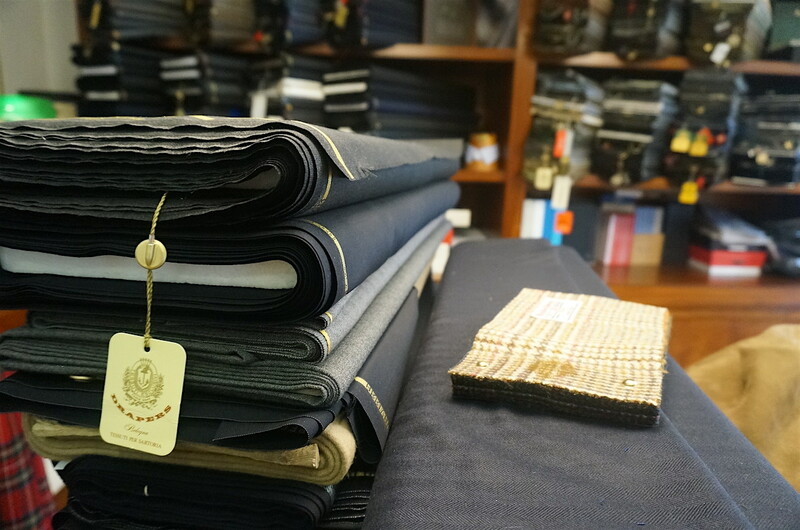 I could compare myself with other great tailors from all over Italy. This allowed me to create my style, made of all those regional peculiarities that I always appreciated still trying to satisfy the client’s needs. I have been desperately searching for somewhere to buy a sized (non-adjustable) corded/faille/grosgrain black silk bow tie for a party I have coming up – my current black faille bow tie is marginally too small for the stiff collar I will need for the event. Everyone seems to have barathea and satin, but a corded tie is nowhere to be found! Any recommendations in the UK/Europe (Shipping from the US probably won’t be quick enough)? I know RTW but would be good to have thoughts on Favourbrook? A long shot since David Saxby was jailed last year, but you could try his eponymous shop or sister shop Old Hat both in Fulham High St. I believe they are open on an ad hoc basis under a new owner. Budd is worth trying too – I asked about a grosgrain cummerbund recently and Mr. Rowley had great satisfaction in showing me one for £150. I got all my sized bow ties at New & Lingwood years ago – try the Eton branch. I offer tailored tie and bow tie service. both with customer fabric and my fabric. If you make me a drawing of what you need, I’ll pack it for you. Not sure when will be an appropriate time to raise this, so this is probably as good as any (at least the subject is located in Italy). I believe since you know your way around the Italian clothing industry, have you ever run across the Chinese in Italy? And do you think it affects either quality, or the implied measure of same when we look for that particular label of origin? I’ve never seen it myself, but it certainly happens a lot. You also get a lot of things made in Romania and trucked across to Italy for some brief finishing. To be honest, I wouldn’t put any stock at all in ‘Made in Italy’ as a label of quality. Such origin labels are a pretty poor guide generally, but especially in Italy. Can we expect coverage of the first fitting soon? I’m looking forward to reading about your experience.